When the biggest eating day of the year has come to a close, you’re left with a full belly and a kitchen full of food. 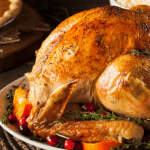 Of course, you could simply recreate your turkey day plate for countless more meals. 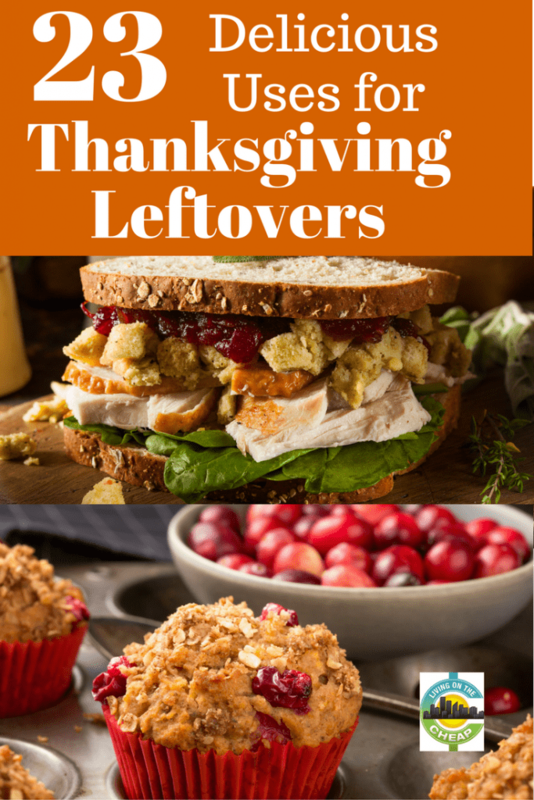 Or, you could try something different and create meals your family won’t even recognize as Thanksgiving leftovers. I vote for the latter. 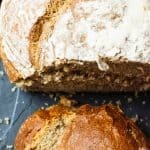 Give some of the recipes below a shot and you’ll be enjoying those piles of extra food for breakfast, lunch, dinner and even dessert! 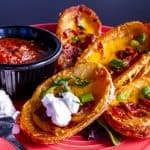 On Black Friday, you may be happy to down a slice of leftover pie as you head out to the mall, but on the weekend, try these cheesy leftover mashed potato pancakes. Use extra stuffing in this morning-after stuffing and eggs dish. If you’re looking for a simple leftover use-up, try this cranberry butter which would be perfect on french toast, pancakes, biscuits, or just toast. By midday, trot out the leftovers for this fun Thanksgiving Leftovers Stuffed Croissant. The leftover bird will also add to the sweet and savory combination in this ultimate grilled cheese sandwich or an after Thanksgiving Panini. Get the waffle iron for these mashed potato waffles (think thick waffle fries) or stuffing waffles — just add the egg and stock to your leftover stuffing. 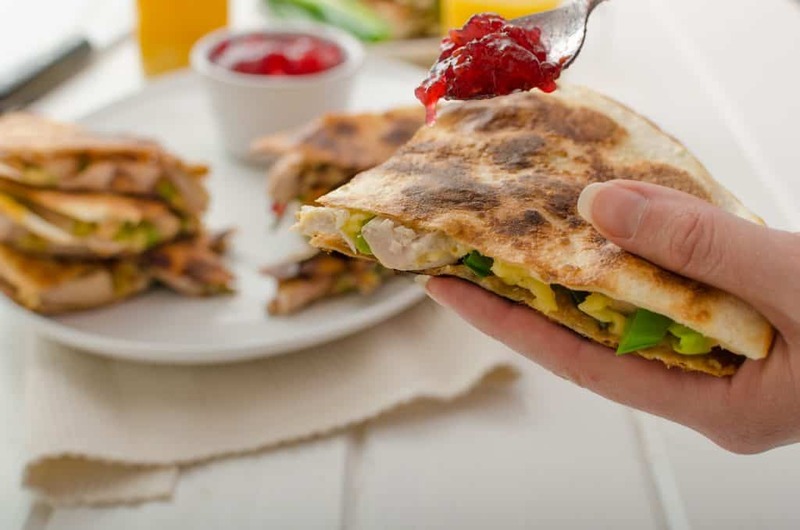 Turkey Cranberry Quesadillas can also be thrown together pretty quickly. When its time for dinner, give this Turkey Tetrazzini a try. Or to warm up on a chilly evening this Leftover Turkey Soup uses your veggie and mashed potato leftovers too. Crockpot Turkey Chili might also hit the spot. These Mashed Potato & Stuffing Patties make a great all-in-one dinner. Swap leftover gravy for the usual marinara in this Stromboli. 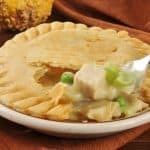 Skip the crust on this turkey pot pie and top it with stuffing instead. 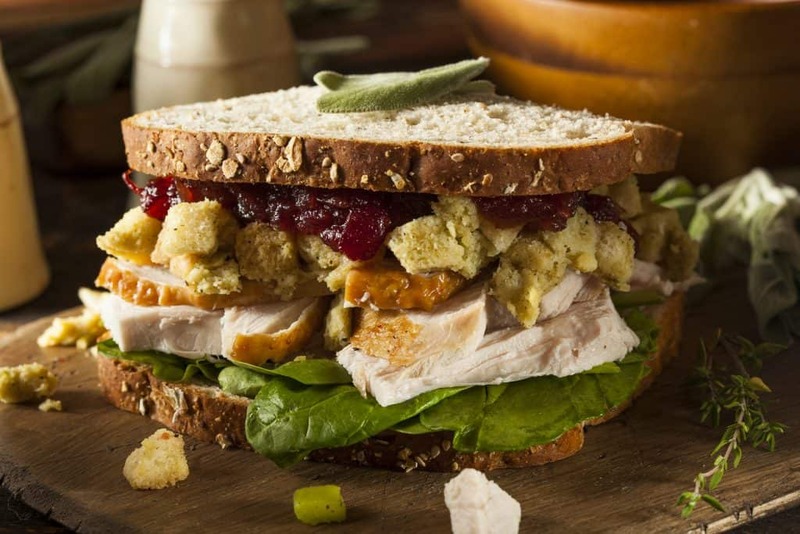 Leftover gravy, stuffing and turkey will let you whip up these hot open-face turkey sandwiches in a jiff, top with a dollop of cranberry sauce if you like. The meal I look forward to after every Thanksgiving is this Turkey Dinner Leftover Casserole. I love it so much that I purposely make too much food on Thanksgiving Day just to be sure I have enough. As a bonus, this recipe makes two casseroles. You can freeze both for later or eat one now and freeze the second. Simply butter two 8-inch square baking dishes. Layer mashed potatoes,veggies, and cranberry sauce in each dish. Heat leftover turkey in gravy to warm up the gravy. Place turkey slices and gravy in the dishes, then top with stuffing. Bake at 375º about 20 minutes (longer if starting from frozen), or until brown and bubbly. For those keeping track, I didn’t forget dessert. 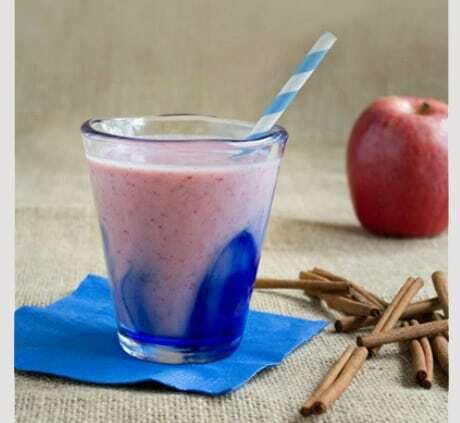 For a milkshake-like treat, use leftover cranberry sauce to make this cranberry sauce smoothie. 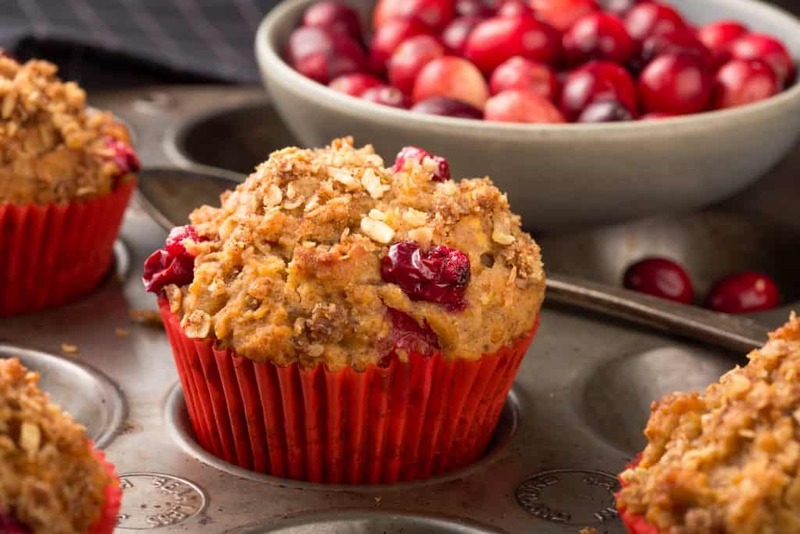 For that extra bag of cranberries, give these cranberry orange muffins a try or these zippy lemon glazed cranberry cookies. If you’re up for something a little different try this leftover pumpkin pie milkshake — yum! And I know one thing I’ll be making this year will be leftover pie ice cream. This summer I tried, and quickly became addicted to this simple & delicious no-churn ice cream. To turn your leftover pie into a frozen delight simply take a slice of your favorite pie–pumpkin, apple, or pecan would all work well — and cut it up into a little smaller than bite-sized pieces. When you get to step five in the ice cream directions, gently stir in the pie pieces. Then you just need to freeze, serve, and enjoy. And don’t forget those all of those turkey bones. Don’t waste it by throwing it in the trash — try making homemade turkey stock/broth. The stock you make can be frozen in 1 cup portions and used whenever you have a recipe calling for chicken/turkey broth. If you’re having guests for dinner, pick up some of these leak-proof lock and locks to send food home with them. You may also like these disposable foil pans with cute Thanksgiving-themed lids to give your guests a fun and tasty send-off.